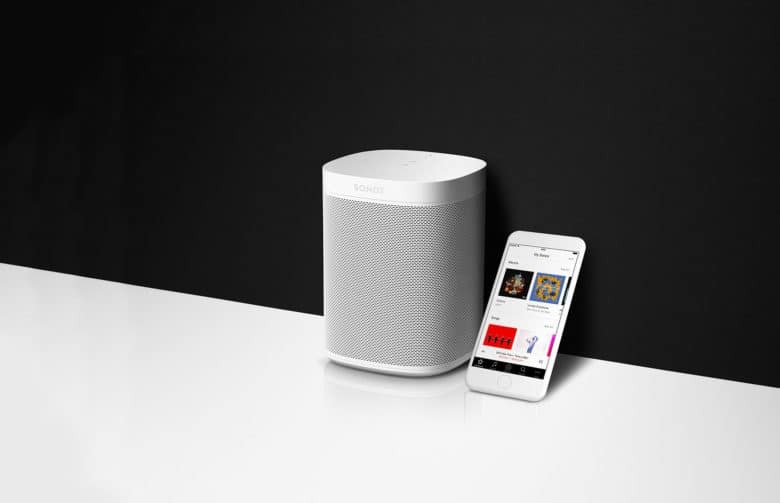 Sonos speakers connect to over 80 streaming services. Sonos is opening its speakers to a new world of listening experiences today with the addition of AirPlay 2. The smart speaker company teased AirPlay 2 support last month during the introduction of its Beam speaker. Now, just over a month after Apple added AirPlay 2 as part of iOS 11.4, Sonos is the first third-party speaker company to dive head first into the new tech. And the company added a few tricks your HomePod can’t match. AirPlay 2 on Sonos is currently supported on the Sonos One, Play 5, Playbase and Beam speakers. Future products will also add AirPlay 2 support, giving you the option to play the same song from your iPhone on multiple speakers. Because Sonos speakers also support other voice assistants like Amazon Alexa, they can be used in more diverse ways that Apple’s HomePod. For example, you can launch music from your iPhone using Siri, then you can use Alexa to pause or skip a song. You can also ask Alexa what song is playing. Sonos’ speakers support way more music services that HomePod. With over 80 content services support on Sonos, you can use the speaker to play podcasts, music, TV Shows and more from services like Pandora, Spotify, Sirius XM and Plex. AirPlay 2 on Sonos speakers will also be able to work with Sonos’ room systems that way you don’t have to set up two different systems. And if you have one of the supported new speakers, you can still use AirPlay 2 to older Sonos speakers through it.